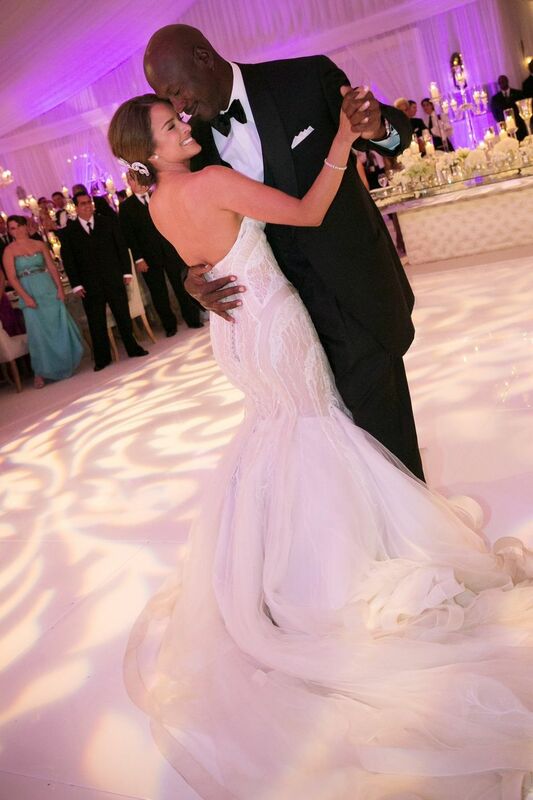 As one of the biggest basketball players of all time, it’s only fitting that Michael Jordan had an almost equally legendary wedding. He was married last week to model Yvette Prieto in Florida and there was nothing small about their big day from what we’ve heard! The couple’s reception was held in what has been billed as the world’s biggest ever wedding tent. The 40,000 square foot tent was set up on the golf course at the Bear Club, where the couple have a 35,000 square foot mansion. We’ve also heard that Michael and Yvette also chose to surprise each other with musical performances, in addition to the band that was hired to play for the reception. Michael had Robin Thicke sing to Yvette, and Yvette had Usher do a set for Michael. While much of the wedding details still haven’t been released, it is clear that Michael and Yvette truly made their wedding into the day of their dreams. We look forward to finding out more about what they included, and to seeing more photos. If you’re planning a wedding here in Columbus, there are plenty of ways to give it that celebrity touch. Give us a call to find out how our team can make your wedding day something extra special.